Help improve the fluidity of your students' written pieces by introducing them to possessive nouns. These exercises allow for individual practise and encourages students to think through challenges with helpful hints! 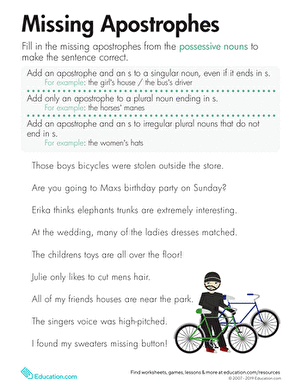 This apostrophe worksheet shows where to put those tricky possessive apostrophes in nouns. Expand on your punctuation mark lessons with these exercises that allow your students to see apostrophes in action by creating plural possessive nouns. 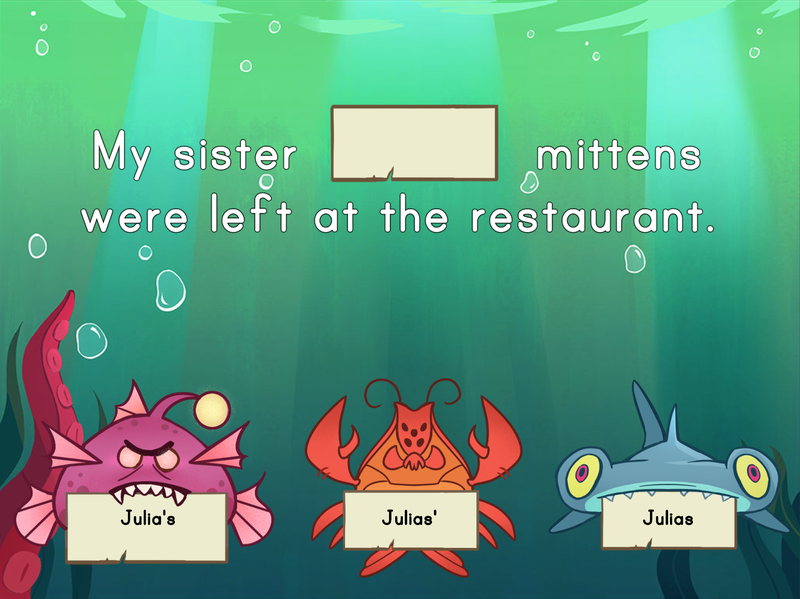 Kids practise placing apostrophes in possessive nouns in this underwater game! 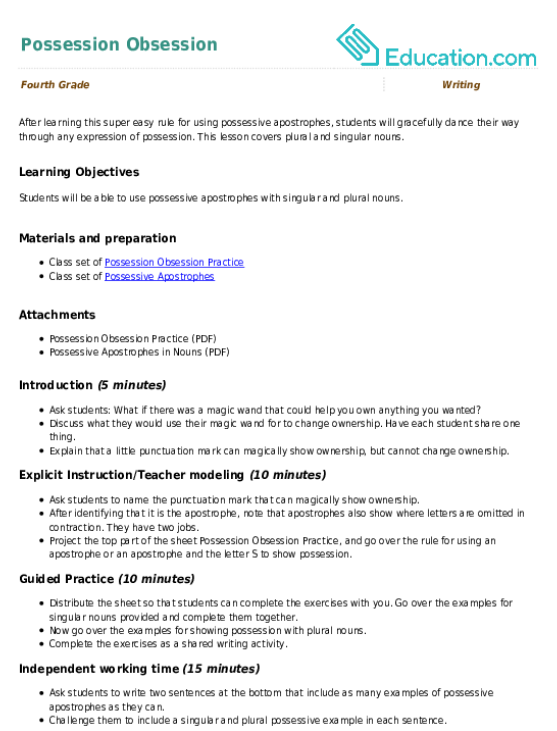 In this exercise, your students will apply their knowledge of singular and plural possessive nouns as they create and categorize. Teach your students how apostrophes show the correct possessive form of a noun with this handy grammar resource! 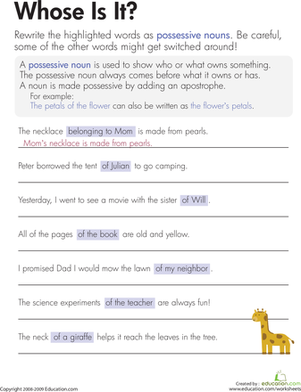 In this exercise, your students will search for singular and possessive nouns as they read a book of their choice. This year four writing worksheet shows kids how to make possessive nouns. After learning this super easy rule for using possessive apostrophes, students will gracefully dance their way through any expression of possession. 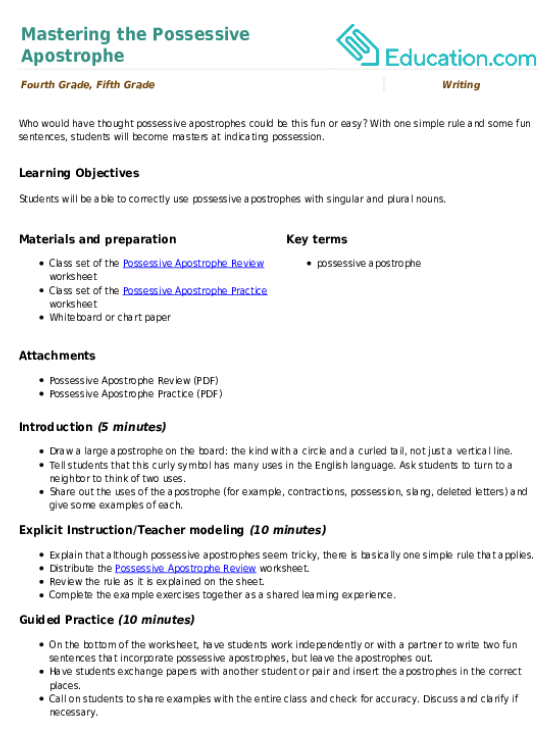 This lesson covers plural and singular nouns. In this exercise, your students will put their grammar skills to the test as they decide where to place missing apostrophes.